With the outbreak of measles in more than a dozen states, the presumed 2016 presidential candidates' messages on the topic is suddenly in the spotlight. Here's where they stand. As of the end of last month, more than 100 cases of measles were reported in 14 states. The outbreak has thrust the vaccination debate into the mainstream of early presidential politics, putting the stances of presumed candidates from both parties under the microscope. Here’s a summary of the messages they’re trying to get across. While on a trip to the UK, Christie called on Monday for some "balance" in the debate, saying parents should have some choice on whether to vaccinate their children. He backtracked later in the day, with his office saying kids should "no question" be vaccinated for measles, but adding there is ambiguity with other types of vaccinations. 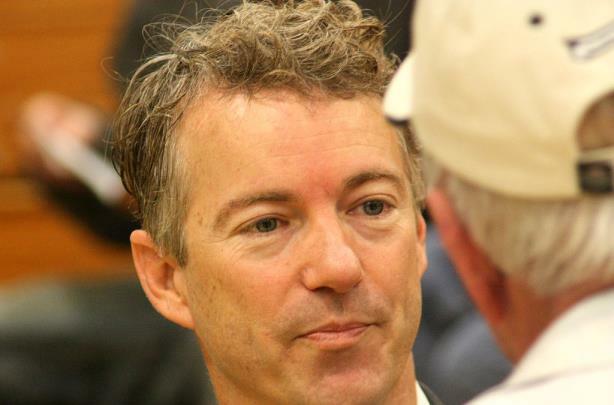 The Kentucky senator and former ophthalmologist said most vaccinations should be voluntary. Yet what caught many observers off-guard was his statement that he’s aware of children "who wound up with profound mental disorders after vaccines," adding that "I’m not arguing that vaccines are a bad idea…but I think the parents should have some imput." Asked on the ABC News Sunday morning program This Week about his stance, Walker contended the science is clear on the issue, saying, "Study after study has shown that there are no negative long-term consequences" to vaccination. The Democratic field isn’t as crowded. The former first lady made her stance unmistakable Monday night, tweeting "the science is clear: The earth is round, the sky is blue, and #vaccineswork." She added the hashtag #Grandmothersknowbest. He’s not running again in 2016, but President Barack Obama said in an interview with NBC News that parents should vaccinate their children. Obama’s view on vaccinations has shifted slightly from 2008, when he took a more skeptical stance. At an April 2008 rally in Pennsylvania, he referenced a member of the audience who was concerned about a possible link between vaccinations and autism, saying "The science is right now inconclusive, but we have to research it," according to Politico.